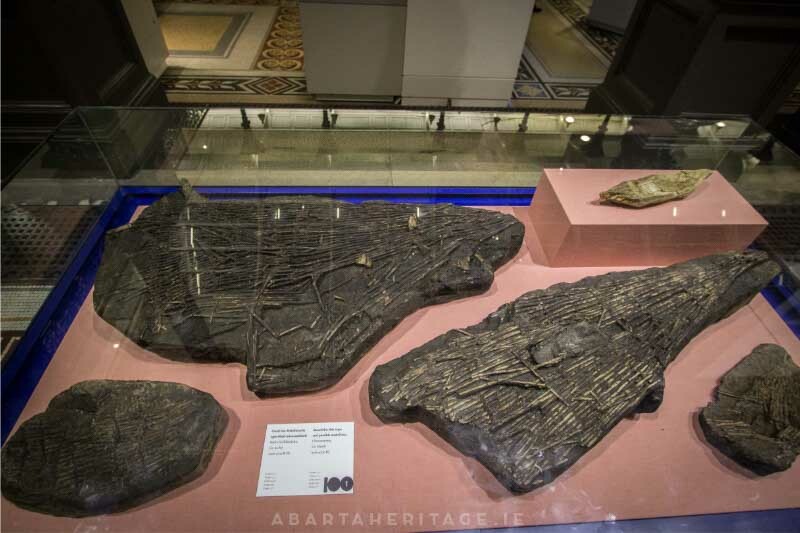 Have you ever wondered what life was like for Ireland’s earliest inhabitants? In Ireland, the Mesolithic Period is generally considered to last from around c.7500 – 4500 BC. The traditional view is that the period begins with the end of the Ice Age and ends with the beginning of farming. This is a time when the population of Ireland was believed to have consisted of nomadic, (or semi-nomadic), tribes of hunter-gatherers. The term ‘Mesolithic’ itself derives from ‘Middle Stone Age’, reflecting the the stone tools that are the most common form of evidence that we find from that period. The landscape that these tribes found in Mesolithic Ireland was likely to have been profoundly different to that we are used to today. 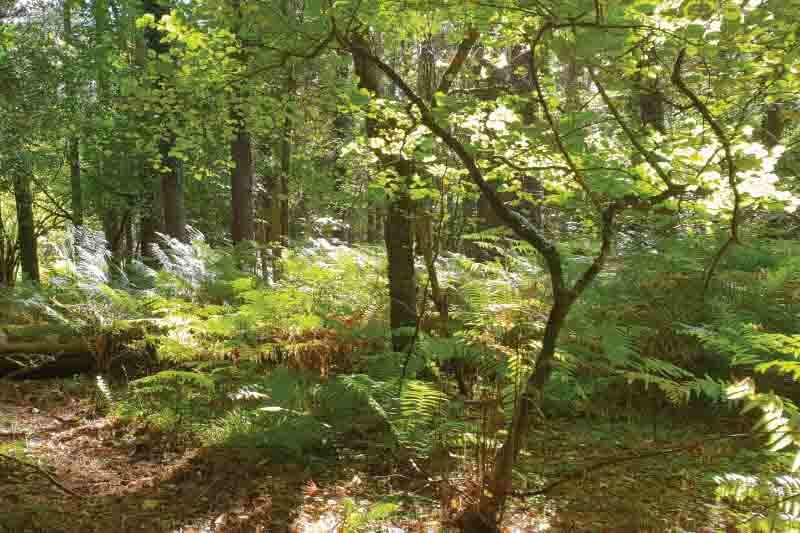 The Mesolithic landscape was variable, but before the advent of farming that brought field clearance, much of the land may have been covered with forests. 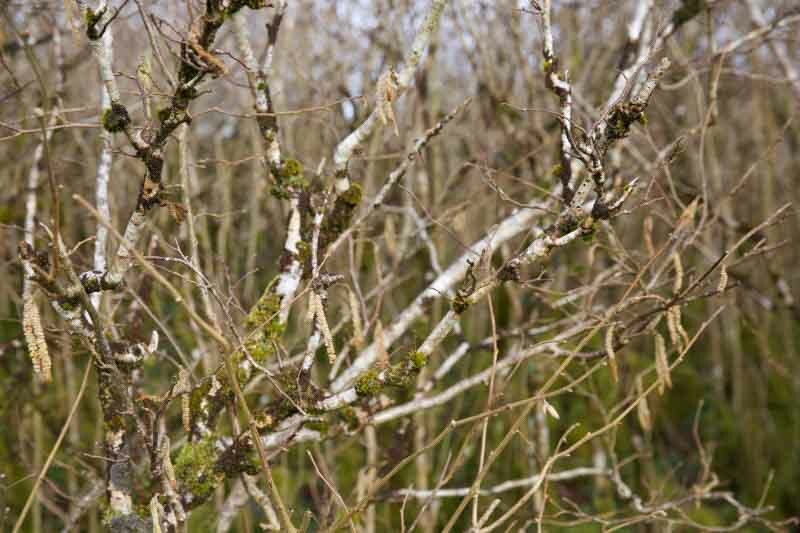 Hazel scrub, pine, oak, elm and ash were common. 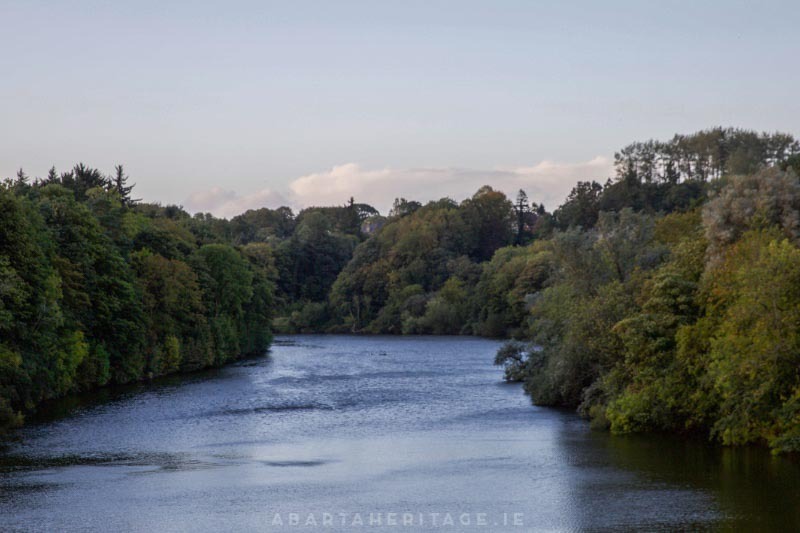 The midlands of Ireland held large lakes, that over millennia turned into the bogs that we know today. The differences were perhaps most dramatic along the coast, as sea levels have changed considerably since the Mesolithic Period. But how much do we actually know about this remote period in the Irish story? In this podcast, Neil had the opportunity to discuss Mesolithic Ireland with Professor Graeme Warren of UCD School of Archaeology. 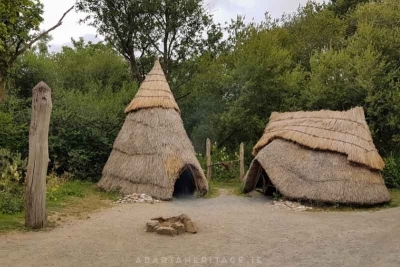 We discussed how Ireland may have looked like back then, how people lived, the evidence of Mesolithic culture and religion, and what sort of dangers people may have faced at the time. We also discussed how we know what we know about the Mesolithic and the types of evidence that tell us the story of our ancient past. Mountsandel is perhaps the most famous Mesolithic site in Ireland. It was excavated in the 1970s by Professor Peter Woodman, you can find a short summary on the excavations.ie website. The site itself is located on the banks of the River Bann in County Derry, just south of Coleraine. Ferriter’s Cove is at the opposite end of the country – on the coast of County Kerry. In both cases there is nothing to be seen of the sites themselves, but it is still nice to roughly follow in the footsteps of some of Ireland’s earliest inhabitants. 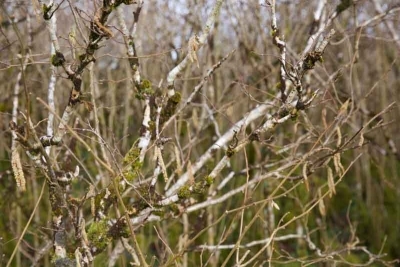 Lough Boora in the midlands of County Offaly can also be visited, again there isn’t much to see on site but there are interpretative panels where the site was discovered, and the bog is a lovely place to visit. The story of the Lough Boora Mesolithic site also features in one of our latest audioguides. The threat to indigenous tribes in Brazil is described in detail by Fiona Watson in this article in the Guardian. The sad case of the American missionary John Allen Chau who was killed by a tribe on Sentinel Island was reported in the Guardian. You can find out more about the Conference of Hunting and Gathering Societies from the organisation’s website. You can find out more on the incredible work by Dr. Ruth Carden and Dr. Marion Dowd, who identified a 12,500+ year old butchered bear patella that had been found in the Alice and Gwendoline Cave in County Clare, in this Irish Times article. 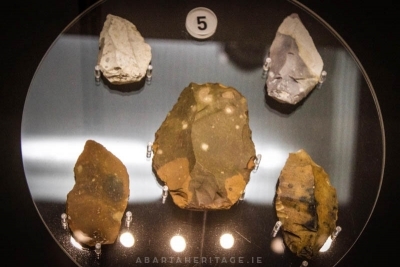 The National Museum website has an image of a flint flake from gravel deposits at Mell, near Drogheda, Louth, is the earliest known artefact found in Ireland. Fashioned elsewhere, it was deposited subsequently by an ice sheet near the Irish coast. An article on the ‘domesticated’ bear that was found in France can be found here on Academia.edu. The remarkable discovery of a Mesolithic burial at Hermitage in County Limerick by Dr. Aimée Little is featured in this Irish Times article. You can find a summary of Prof. Peter Woodman’s excavations at Ferriter’s Cove on the excavations.ie website. The incredible Clowanstown Fishtraps feature in the 100 Objects series. Their website has a great gallery of images and more information on this wonderful example of the skill and ingenuity of the Mesolithic Dubliners. You can see the trap in the National Museum of Ireland, along with a number of stone tools and other artefacts from the Mesolithic period. 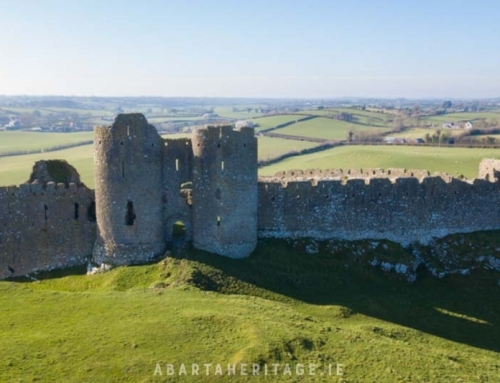 During this podcast series we will meet some of Ireland’s archaeologists to discuss the key periods, places and people that tell the story of Ireland, and we’ll gain new insights into the practice and techniques of modern Irish archaeology. This is the second instalment of Amplify Archaeology, our first episode featured the exciting archaeological dig at Glendalough. I’d love some feedback, so please do leave a comment below – and if you have any questions about Irish archaeology please do let me know, we can try to answer them in forthcoming episodes. Finally if you enjoyed this podcast I’d be really grateful if you could share it and tell your friends. The podcast is an Abarta Heritage production. It was recorded on location by Neil Jackman (the interviewer), with Professor Graeme Warren. We are very grateful to Graeme for his generosity with his time and insights. 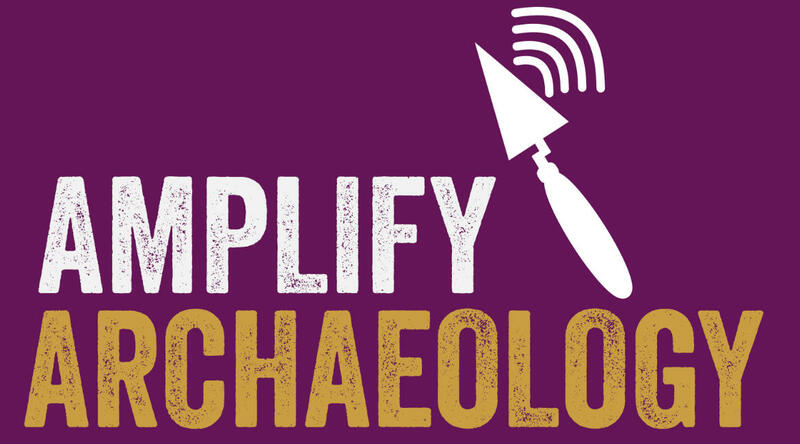 Amplify Archaeology Podcast is also available on Google Podcasts and a number of other outlets. If you can’t find it on your favourite podcast app do let us know!